The U.S. Army Corps of Engineers plans to supervise construction of a five-story underground facility for an Israel Defense Forces complex, oddly named “Site 911,” at an Israeli Air Force base near Tel Aviv. Expected to take more than two years to build, at a cost of up to $100 million, the facility is to have classrooms on Level 1, an auditorium on Level 3, a laboratory, shock-resistant doors, protection from non-ionizing radiation and very tight security. Clearances will be required for all construction workers, guards will be at the fence and barriers will separate it from the rest of the base. Only U.S. construction firms are being allowed to bid on the contract and proposals are due Dec. 3, according to the latest Corps of Engineers notice. Site 911 is the latest in a long history of military construction projects the United States has undertaken for the IDF under the U.S. Foreign Military Sales program. The 1998 Wye River Memorandum between Israel and the Palestinian Authority has led to about $500 million in U.S. construction of military facilities for the Israelis, most of them initially in an undeveloped part of the Negev Desert. It was done to ensure there were bases to which IDF forces stationed in the West Bank could be redeployed. As recorded in the Corps’ European District magazine, called Engineering in Europe, three bases were built to support 20,000 troops, and eventually the Israeli air force moved into the same area, creating Nevatim air base. A new runway, 2.5 miles long, was built there by the Corps along with about 100 new buildings and 10 miles of roads. Over the years, the Corps has built underground hangers for Israeli fighter-bombers, facilities for handling nuclear weapons (though Israel does not admit having such weapons), command centers, training bases, intelligence facilities and simulators, according to Corps publications. Within the past two years the Corps, which has three offices in Israel, completed a $30 million set of hangars at Nevatim, which the magazine describes as a “former small desert outpost that has grown to be one of the largest and most modern air bases in the country.” It has also supervised a $20 million project to build maintenance shops, hangars and headquarters to support Israel’s large Eitan unmanned aerial vehicle. Site 911, which will be built at another base, appears to be one of the largest projects. Each of the first three underground floors is to be roughly 41,000 square feet, according to the Corps notice. The lower two floors are much smaller and hold equipment. Security concerns are so great that non-Israeli employees hired by the builder can come only from “the U.S., Canada, Western Europe countries, Poland, Moldavia, Thailand, Philippines, Venezuela, Romania and China,” according to the Corps notice. “The employment of Palestinians is also forbidden,” it says. The well-known Israeli architectural firm listed on the plans, Ada Karmi-Melamede Architects, has paid attention to the aesthetics of the site design as well as the sensibilities of future employees. The site, for example, will be decorated with rocks chosen by the architect but purchased by the contractor. Three picnic tables are planned, according to the solicitation. The Corps offered a lengthy description of the mezuzas the contractor is to provide “for each door or opening exclusive of toilets or shower rooms” in the Site 911 building. A mezuza (also spelled mezuzah) is a parchment which has been inscribed with Hebrew verses from the Torah, placed in a case and attached to a door frame of a Jewish family’s house as a sign of faith. Some interpret Jewish law as requiring — as in this case — that a mezuza be attached to every door in a house. What’s the purpose of Site 911? I asked the Pentagon on Tuesday, and the Corps on Wednesday said that only an Israeli Defense Ministry spokesman could provide an answer. HVAC [heating, ventilation, air conditioning] and plumbing.” The U.S. contractor must have a U.S. secret or equivalent Israeli security clearance for the project, which is expected to take almost 21 / 2 years to complete. That sounds like a secure command center. The purpose of Site 911 is far less clear. One unit at the Salem plant in Hancocks Bridge, N.J., near the Delaware River, was shut down Tuesday because four of its six circulating water pumps were no longer available, according to PSEG Nuclear. The pumps are used to condense steam on the non-nuclear side of the plant. Another Salem unit has been offline since Oct. 14 for refueling, but the nearby Hope Creek plant remains at full power. Together, the Salem and Hope Creek plants produce enough power for about 3 million homes per day. The oldest U.S. nuclear power plant, New Jersey’s Oyster Creek, was already out of service for scheduled refueling. But high water levels at the facility, which sits along Barnegat Bay, prompted safety officials to declare an “unusual event” around 7 p.m. About two hours later, the situation was upgraded to an “alert,” the second-lowest in a four-tiered warning system. 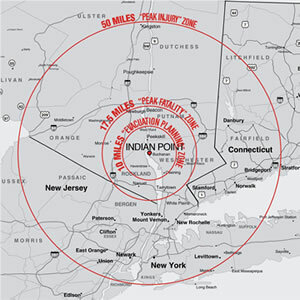 Conditions were still safe at Oyster Creek, Indian Point and all other U.S. nuclear plants, said the Nuclear Regulatory Commission, which oversees plant safety. A rising tide, the direction of the wind and the storm’s surge combined to raise water levels in Oyster Creek’s intake structure, the NRC said. The agency said that water levels are expected to recede within hours and that the plant, which went online in 1969 and is set to close in 2019, is watertight and capable of withstanding hurricane-force winds. The plant’s owner, Exelon Corp., said power was also disrupted in the station’s switchyard, but backup diesel generators were providing stable power, with more than two weeks of fuel on hand. The moribund old nuclear reactor at Wylfa, Anglesey. Uncertainty remains over whether a new one will ever be built alongside it. The drop-out of bidders for nuclear operator Horizon, opposition from the one British community that might host buried nuclear waste, and a damning European report on existing plant safety, all provide new headaches for nuclear supporters. Just two bidders have emerged for Horizon, the nuclear company seeking to build two new reactors in Britain, following the expiry of a deadline last Friday for expressions of interest in purchasing the option. In both cases it is unsure where the hundreds of millions of pounds of investment will come from, that could eventually see a new nuclear power station built on either of the company’s sites, in Oldbury, Gloucestershire and Wylfa, Anglesey. Last week, three consortiums were expected to throw their hats into the ring: France’s Areva, partnered with China’s Guangdong Nuclear Power Group, both state-owned; one led by Japan’s Hitachi; and Japan’s Westinghouse Electric Co., partnered with China’s State Nuclear Power Technology Corp and Exelon, the US power generator. Areva failed to submit a bid. Hitachi did, and Westinghouse did, but without its Chinese partner, who would have provided substantial experience of delivering nuclear power stations on time and within budget. Areva’s European Pressurised Reactor (EPR) design is further ahead than Westinghouse’s in the UK’sgeneric design assessment approval process. Westinghouse’ put their process on hold last December. Its AP1000 nuclear reactor design is, in turn, further on than Hitachi’s Advanced Boiling Water Reactor (ABWR), which has yet to be submitted to the Health and Safety Executive (HSE), although it is licensed in the US, Japan and Taiwan. Four ABWRs are already operating in Japan, with a fifth 94% completed. No AP1000 reactor has yet been completed, although four are under construction in China, and two proposals have been given approval in the US. Two builds of Areva’s EPR design, in France and Finland, have experienced massive hold-ups and budgetary excesses. EDF has yet to decide whether to proceed with construction of an EPR plant at Hinkley Point. The process of approval of the EPR design issues by the Health and Safety Executive can be followedonline here, where it can be seen that the majority of issues have yet to be resolved. The only other contender for new nuclear power station building in the UK is NuGen, which is owned by GDF SUEZ and IBERDROLA. Their plans to implement 3.6GW of electricity generation at the Moorside site adjacent to Sellafield are also on hold. Any potential backers for building new nuclear power stations, which would undoubtedly include Chinese money, are waiting for clarity on the level of government support that will be available following the passing of the Energy Bill, currently winding its way through Parliament. Meanwhile, there is renewed uncertainty also about what to do with Britain’s existing legacy of nuclear waste. Friday was also decision day for the three Cumbrian councils who represent the only community in the country which has said it might host an underground dump for the country’s most radioactive materials. Presently, these are stored at Sellafield in cooling tanks above ground. The leaders of Cumbria county council, and Allerdale and Copeland borough councils, cited their desire to have legally enshrined their right to withdraw from the process at any time, and a “lack of trust” between the public and the government, as reasons for postponing their decision until January next year. They issued a statement which also throws into doubt the suitability of the chosen site: “One of the biggest concerns for many residents of Cumbria has been whether the geology of the area is suitable for a repository. Managing the UK’s existing nuclear waste already eats up more than half of the annual budget of the Department for Energy and Climate Change (DECC), a proportion which is expected to rise. The councils will be seeking clarification from DECC on a number of issues. Lastly, a European Commission report released in draft form yesterday says that there are many potentially huge and expensive problems with the safety of the majority of nuclear plants operating in the European Union. This survey was produced in response to the Fukushima accident in Japan last year. It puts the cost of the safety upgrades at a total of between €10 and €25bn, or €30m to €200m for each reactor. 134 nuclear reactors are in operation in 14 EU countries, of which 111, at 47 plants, have over 100,000 people living within a radius of 30km. Most worryingly, the report finds that four reactors, located in two different nations, have less than one hour available to restore safety functions if electrical power is lost. At the other extreme, four countries operate additional safety systems fully independent from the normal safety measures and located in areas well-protected against external events. A fifth nation is considering that option. The draft report notes that two member states have still not provided information, but does not identify them. The UK government commissioned its own report on existing British reactors in the wake of the Fukushima disaster, which gave them the all clear. However the EU report points out that most UK reactors do not have an alternative control room that could be used in the event that the main one became unsafe. A DECC spokesperson commented that there was no evidence that British nuclear reactors were unsafe, adding that “the government is committed to the principle of continuous improvement”. The final version of the European report is to be published later this month, and the Commission will make its recommendations shortly afterwards, including proposing laws on insurance and liability to “improve the situation of potential victims in the event of a nuclear accident”. Environmental campaigners pointed out that, although it is comprehensive and devastating, the report misses out further risks in crucial areas, such as ageing technology, terrorist attacks or human error. 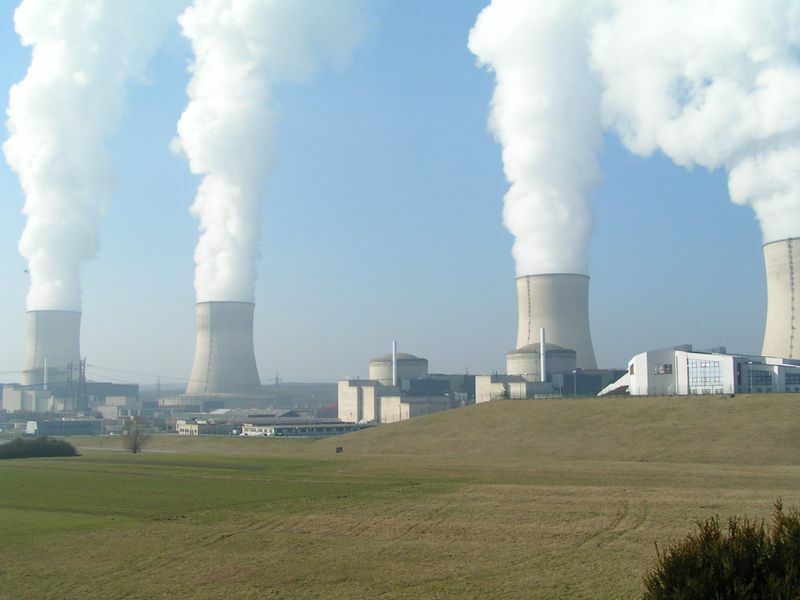 “If this exercise was serious, the Commission should be recommending the closure of unsafe or ageing reactors,” said Rebecca Harms, co-president of the Greens/European Free Alliance at the European Parliament. 21st Century Wire host Patrick Henningsen visits with award-winning artist/musician and writer Gilad Atzmon, to discuss a number of significant challenges facing the geopolitical scene today, as Atzmon takes on the Isreali Lobby and raises some difficult questions, as well as some uncomfortable truths regarding Jewish identity politics politics. Episode 3 Premieres this Thursday at 6pm on PSTV channel 91 in the UK. Henningsen is in the United States today, following the burgeoning story of twin nuclear disasters in the making in the heartland that aren’t making the headlines. Tune in to radio show here at 5pm PCT. And; the Annual Pastor’s for Peace Caravan to Cuba embarked on its 22nd trans-continental pilgrimage to bring goods sanctioned by the United States to that embargoed Caribbean island. Our own two-time Caravanista, CFUV broadcaster, and Victoria Street Newz publisher, Janine Bandcroft accompanied the Canadian contingent from our neck of the words here in the Pacific Northwest to the Peace Arch at Blaine, Washington to see this year’s crew safely across the border. Janine Bandcroft reporting from the crossing with the Pastor’s for Peace Caravan in the second half. And; Janine will join us live at the bottom of the hour to bring us other news from Victoria and beyond. But first, Patrick Henningsen from the waters rising around America’s Midwest nuclear facilities. Gorilla Radio talks with 21st Century Wire Editor Patrick Henningsen on the first half of the show. 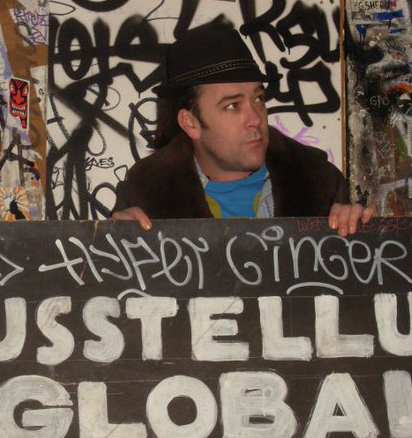 Chris Cook hosts Gorilla Radio, airing live every Monday, 5-6pm Pacific Time. In Victoria at 101.9FM, 104.3 cable, and on the internet at: http://cfuv.uvic.ca. He also serves as a contributing editor to the website, http://www.pacificfreepress.com. The French military confirmed rumours Wednesday that it had dropped “light weapons” to Libyan rebels earlier this month. The story was reported in French newspaper Le Figaro in early June. The French military confirmed Wednesday that it had air dropped “light weapons” earlier this month to Libyan rebels fighting Moamer Kadhafi’s forces in the highlands south of Tripoli. Earlier, the Le Figaro newspaper and a well-placed non-government source had said that France had dropped several tonnes of arms including Milan anti-tank rockets and light armoured vehicles to the revolt. But Colonel Thierry Burkhard, spokesman for the French general staff, told AFP that the shipments were essentially light arms such as assault rifles to help civilian communities protect themselves from regime troops. 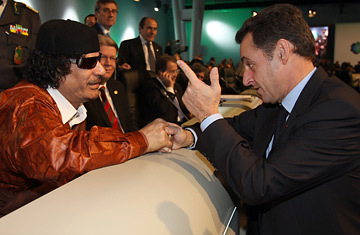 SARKO: French boss Sarkozy tried to sell Gaddafi a nuclear reactor from Areva, now he's bombing Libya. “If the rebels can get to the outskirts of Tripoli, the capital will take the chance to rise against Kadhafi,” said an official quoted in the report. A well-placed non-government source told AFP that 40 tonnes of weapons including “light armoured cars” had been delivered to rebels in western Libya. According to Le Figaro the French arms shipments are dropped from planes across the Djebel Nafusa region, where Berber tribes have risen to join the revolt against Kadhafi’s rule and seized several provincial towns. The crates hold assault rifles, machine guns and rocket-propelled grenades, it said, and also European-made Milan anti-tank missiles, a powerful addition to the rebel arsenal that can destroy a tank or a bunker. France has taken a leading role in organising international support for the uprising against Kadhafi’s four-decade old rule, and French and British jets are spearheading a NATO-led air campaign targeting his forces. Rebel forces are based in Benghazi in the east of the country, and hold a besieged enclave supplied by sea in the western coastal town of Misrata, but have been unable to mount a convincing advance on the capital.